A loan of $750 helped to purchase a new taxi vehicle. Ferid is married and the father of three children between the ages of three months and 16 years old. He has tried several times to change working places in order to give his children whatever they need. He has worked as a baker and now he is working as a taxi driver. 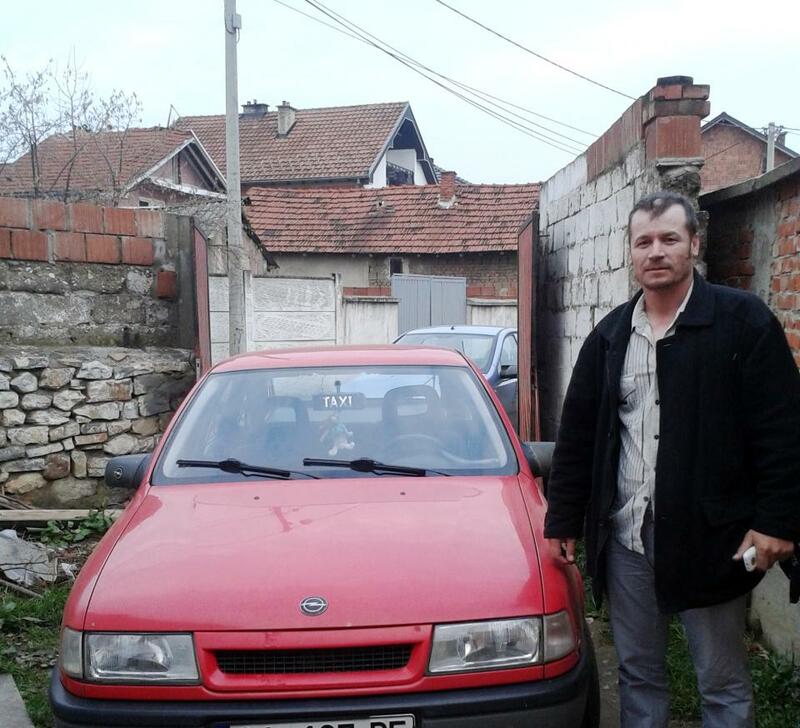 He had to sell his vehicle and is now requesting a loan of 600 euros in order to purchase a new one. This loan will help him to increase his income and he will not have to ask other people for money, which is very difficult and uncomfortable for him. He is very satisfied with the income and this type of work, and feels secure that he can use this as his main source of income to provide for his family. He has built a large customer base over the last three years he has been in business and knows that he can continue to grow. Knowing that this is a Kiva loan, he wants to thank all of the lenders for their support. KosInvest is a micro-enterprise development organization that provides loans to help people in rural Kosovo generate more income and improve their living conditions. It offers a wide range of loan products, from loans tailored to micro and small enterprises to loans designed to help women-headed households. Kiva funding is enabling KosInvest to provide financial access to a greater number of economically active, low-income ethnic groups living in Kosovo. KosInvest predominantly works with rural communities which are more vulnerable to higher levels of poverty and unemployment. In addition to being a post-conflict area, Kosovo has the lowest per capita income in Europe, averaging about $3,000 annually. KosInvest also sets itself apart by serving all ethnicities in Kosovo, including Albanians, Serbs in the north, and Roma populations.